A couple of years ago, the Ngewana family sat around the kitchen table of their Cape Town home and set themselves a target: over the next six months, they would try to cut their electricity use by 40% by retrofitting their two‑story home and making some small but important changes to their daily habits. Even though the family knew there was a lot they could do, they were not sure where to start. They teamed up with the Green Building Council South Africa to make a range of no-cost, low-cost and “invest to save” improvements, and they also set goals to reduce their water use and waste. To limit the amount of electricity they needed for heating and cooling, they installed insulation, ceiling fans, a flat-panel solar hot water heater, and a closed-combustion wood pellet stove. The family built on these investments by making a raft of low-cost and free changes to their everyday practices – for example, by replacing old light bulbs with more efficient ones and switching them off whenever they left the room. Within three months, the Ngewanas had already surpassed their electricity target, and were enjoying the increased comfort that came with their energy savings. As a family with two parents in well-paid jobs and three young adults living at home, the Ngewanas enjoyed an income and lifestyle that were notably above the South African average. Yet it is households like theirs – with mid- to high-incomes and comfortable, often rising standards of living – that tend to have the highest residential energy use. And so they offer some of the best opportunities to substantially reduce energy consumption. “[People] still think that because they can afford [their energy use], they don’t have to change,” Bulelwa Ngewana said as the family set out on its home greening project. In developed and emerging economies alike, the buildings in which we live and work offer huge potential for energy savings. Buildings are some of the largest energy users in the world, accounting for 30% of total energy use. For countries seeking to confront major challenges like rising energy demand and energy insecurity, it’s essential to reduce our buildings’ energy consumption. By 2050, over 85% of the projected growth of building energy demand is expected to occur outside the OECD. This is especially true for populations that are gaining greater access to material wealth and goods. As we build more factories and new homes, we lock in patterns of energy use and behaviour that will affect us for years to come. Large residential blocks in countries like Ukraine offer a stark example of this. In addition to a residential energy sector that was once highly subsidised, Ukraine has a history of slow legislative change, limited awareness, and few resources to adopt and maintain energy efficient practices. Yet residents wanted more comfortable homes but also lower energy bills. 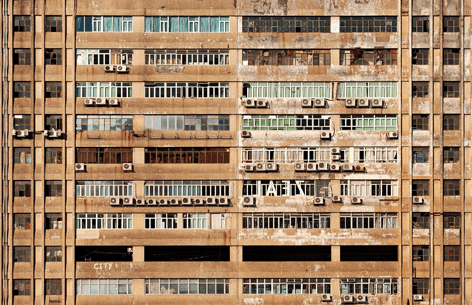 Many Ukrainian apartment buildings were built well before 1990 and are in a poor condition, with up to 80% of them considered energy inefficient. The residential sector alone makes up for as much as a third of the country’s energy use. The NGO, Housing and Municipal Reform Support Centre, in Kiev says there is huge potential for government, home owners, banks, utility companies and donor organisations to upgrade buildings to reduce energy use. Improvements to building energy efficiency are also having a significant impact in countries like India. The Indian Green Building Council has brought in green building rating systems and is helping to achieve building energy savings of 30% to 50%. Investments are generally paid back over just two to three years, showing how green buildings make good business sense. Meanwhile, back in South Africa, the Green Building Council recently developed a new “socio economic category” for rating the energy efficiency of buildings. The method takes into account socio-economic considerations that affect energy use and comfort in buildings, such as poverty, unemployment and levels of health and education. “[These] can all be addressed, at least to some degree, through the way we design, build and operate buildings,” said the council’s chief executive, Brian Wilkinson. As for the Ngewana family, by the end of their project, they had managed to reduce their home electricity use by more than a half. They were left with a house that ran more efficiently and was more comfortable at a far lower cost to them and the environment. The family’s story has been shared widely in South Africa, with the aim of giving other households the information they need to make similar changes.